Are you in need of a professional carpet cleaning company to improve the look of your carpet at your office or business? At SteamPro we have over 15 years experience with commercial carpet cleaning in Camdenton MO. SteamPro offers commercial carpet cleaning services that will help keep your facility looking great for both your customers and employees. How Often Should Your Have Your Carpet Cleaned? Carpeting in commercial settings get far more traffic than most residential settings. 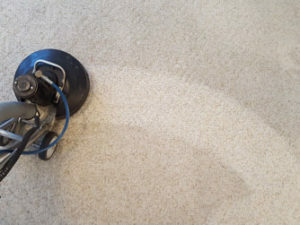 To help extend the life of your carpet and save money on installing new carpet, we recommend that you have your carpet cleaned at least every six months by professional carpet cleaning companies. Of course this varies with each situation, some restaurants need cleaned every couple of weeks to stay looking good. First we will pre-inspect your carpet to see if there are any specific stains that need treated. This could include coffee stains, drink spills or ice melt residue. One of the most important steps in maintaining your carpet is dry vaccuming. In commercial scenerios, regular vacuuming is often overlooked. We will make sure to do a thorough dry vacuum before cleaning. Using our truck mounted hot water extraction system, we provide the highest rate of dirt and soil removal. First we apply a pre-conditioning detergent that breaks up embedded soil. After the soil is suspended we use a high heat rinse, thoroughly extracting all dirt and other contaminants. Our system has a powerful vacuum, so almost all of the water used is removed. Your carpet will be clean and dry within a couple of hours.